Lately my wife and I found our dream house in winter, and got nice and settled just before being magically transported to Jotunheim. 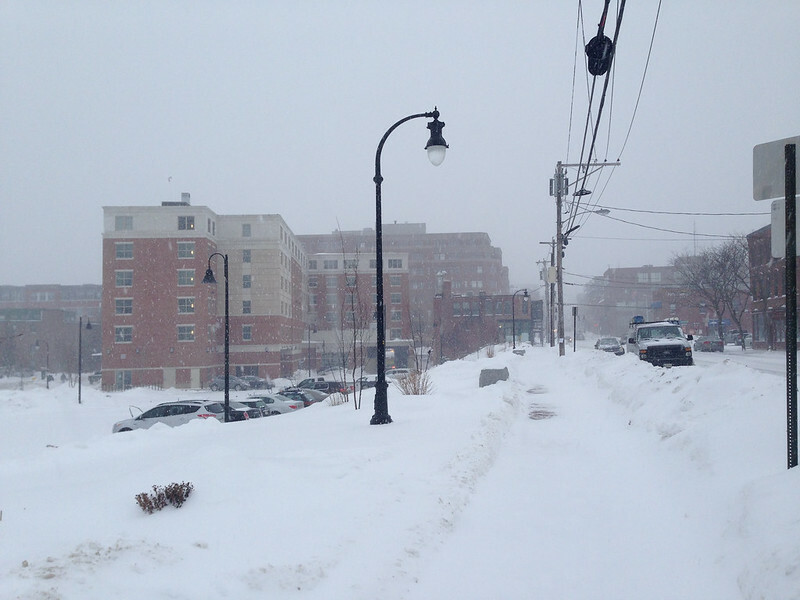 Winter has been especially grumpy this year, and has dropped three giant snow storms on us in the space of a week. This is what I saw during the first storm, named Juno. Because yeah, these things have names. These things have names. Actual names. There was Juno, and then another one, and then another one after that. They had names too, but I stopped paying attention after the third time I had to dig out my car on the same day. 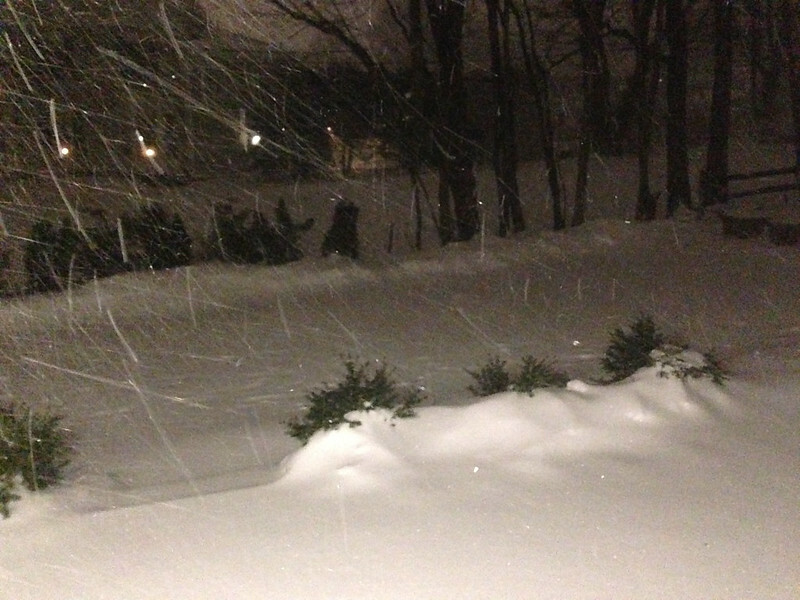 We have a pug and a puggle in our house, only one of which was willing to go out in that crap. Their morning walk was before things really picked up, but after that Dublin (the pug) was only willing to use emergency pads. It’s a bit frustrating, because he still demands to be taken outside. First we get him all dressed up for winter, then we open the door so he can see the snow, and then he does the pug example of flipping me off. 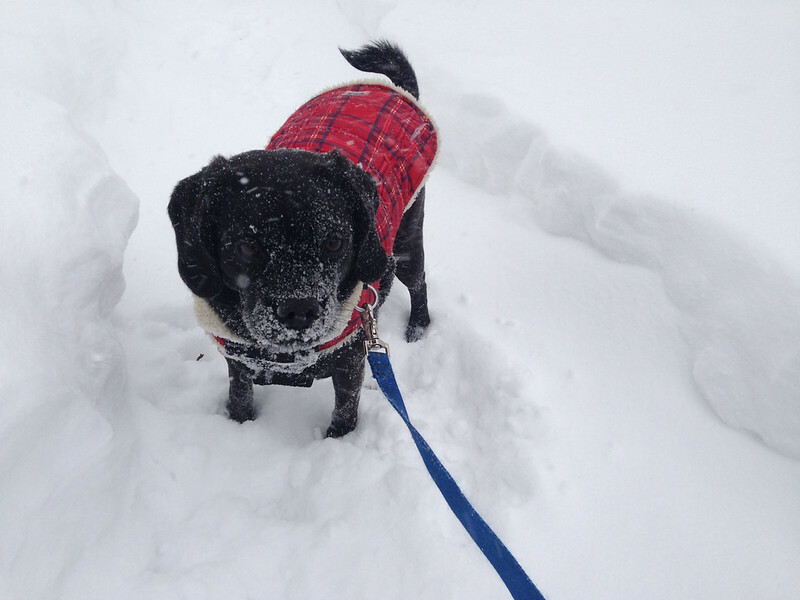 Finnea, on the other hand, spent her time body-checking snow banks and shoving her face into the snow. Sometimes she pretends to be a snow plow. 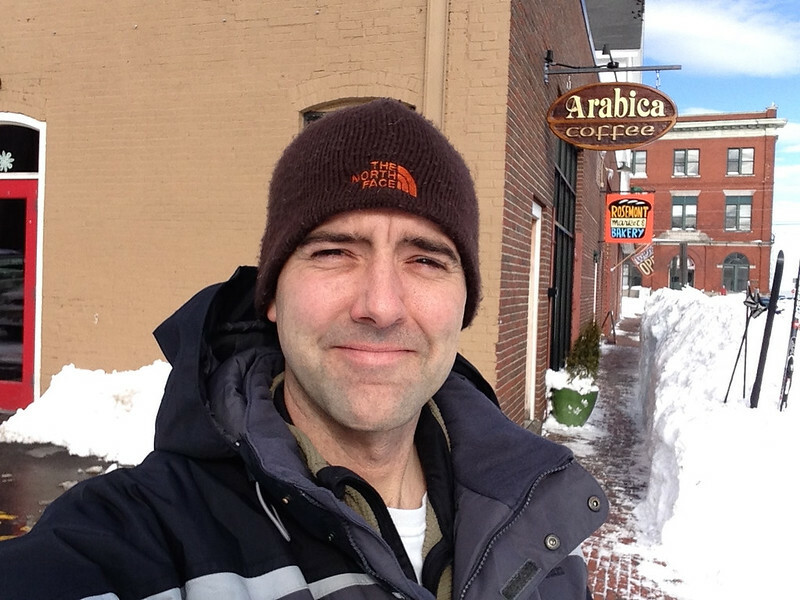 I haven’t run much in our new town of Bath, Maine because I don’t know which sidewalks are clear, I’m not familiar with the town, I’ve been lazy, it’s cold outside, it’s dark in the mornings and I’ve been lazy. But I’ve had no shortage of exercise. I think I’ve shoveled our new home out about… wait, I’m not going to do that math. I don’t want to cry right now. But it’s not just Bath under all that snow. It’s the whole east coast. New York didn’t get hit as hard as expected, but I think that’s just because their snow was delivered to us by mistake. I don’t know why this wasn’t finished, but it made people walk through the intersection to get around the corner to the sidewalk. I still work in Portland, and it was covered in enough snow to overwhelm the city snow removal people. There were sidewalks that were only cleared part of the way. I mean that literally. You walk about 75% of the way and there’s no exit. There was a bit of time between storms, so it seemed like Portland managed to get it mostly clear just before getting hit again. 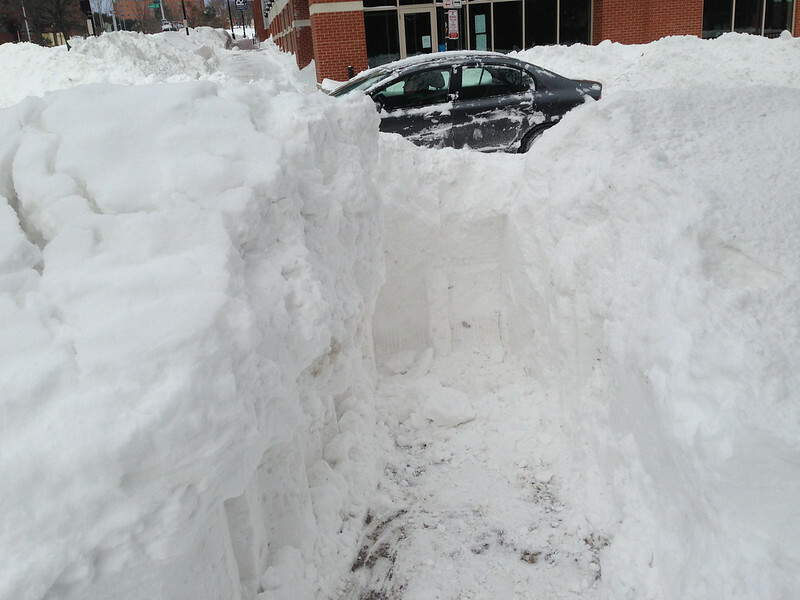 When things were finally under control, people still walked int he street because they didn’t realize there was a walkway on the other side of those giant snow banks. If you’d like to see more photos, here’s my Flicker set for the storms. This is what things looked like during one of the storms. It’s only scary if you’re driving a car out of a parking lot. And it’s not over, either. We have more snow coming. I’ve shoveled and shoveled, and I shall do so again. But we still have a house, right? This is part of home ownership, and maybe we’ll learn more by hitting the ground running. Or maybe I’m just saying that to make myself feel better about not owning a snowblower yet. In any case, my selfies will contain snow banks for the foreseeable future. The sun is in front of me and those monster snow banks are behind me. They’ve gotten bigger since this photo was taken.